right click the hosts file then open with notepad. 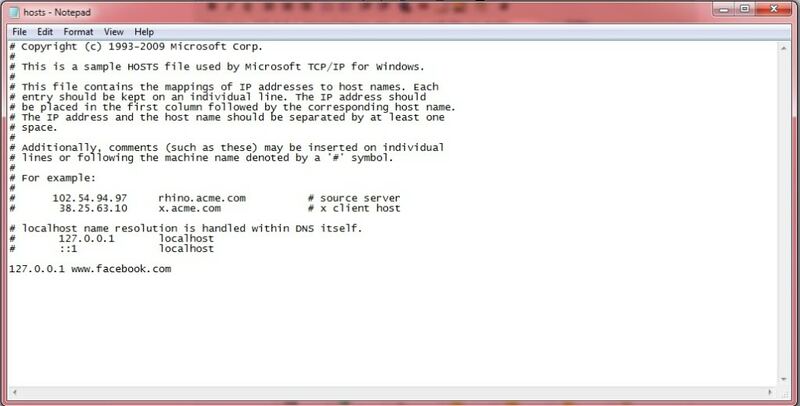 at the bottom of the text file.. add this line..
Save the hosts file. or simply press "ctrl" + "s" in your keyboard. NOTE:if you encounter an error saving the "Hosts" file..
Download takeownership and install it. 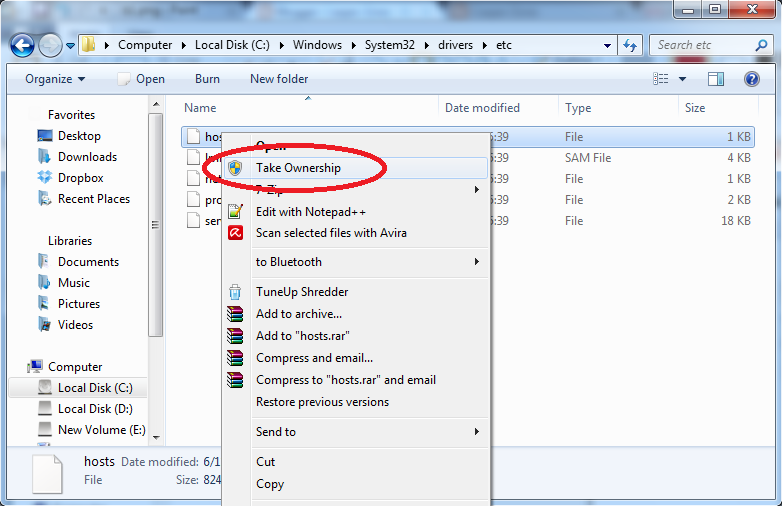 To install the takeownership, just unzip it then double click it. 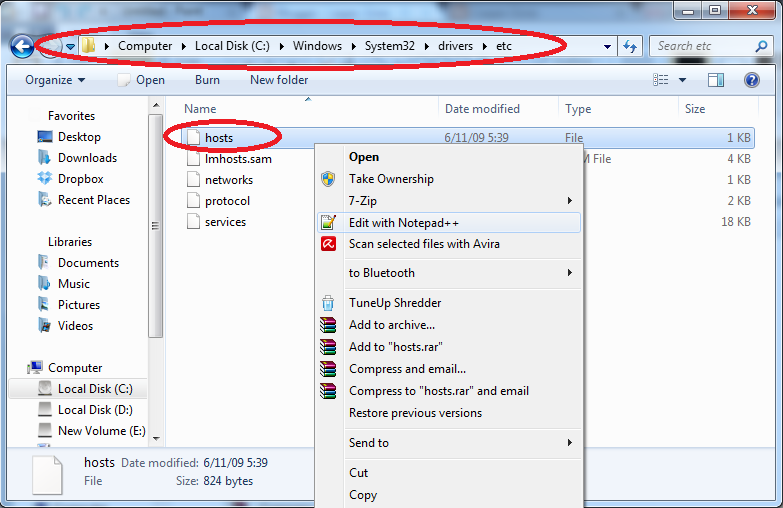 Then right click the "Hosts" file and click "Take Ownership".